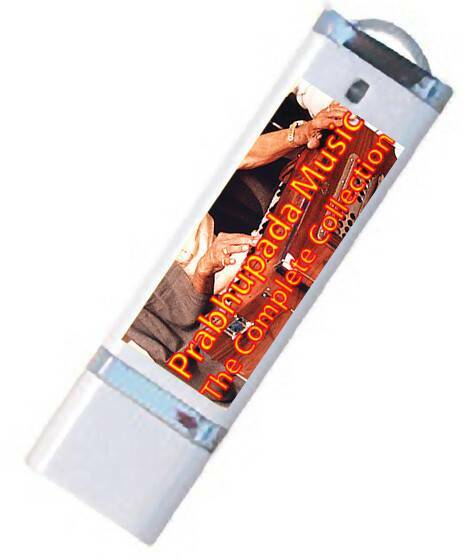 45-in-one, The complete set of all the Prabhupada Music CDs on a single USB stick thumb drive. Contains 45 CDs in CD quality MP3 files. The perfect and inexpensive way to get the entire collecton of all the recorded Kirtans, Bhajans and Purports to the songs by His Divine Grace A.C. Bhaktivedanta Swami Prabhupada.